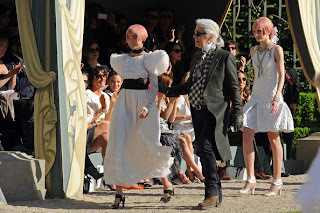 I know the Chanel pre-spring 2013 collection show happened quite some time ago now but seeing as its almost spring I think maybe its fitting to comment about the show now to inspire everyone’s spring wardrobe. 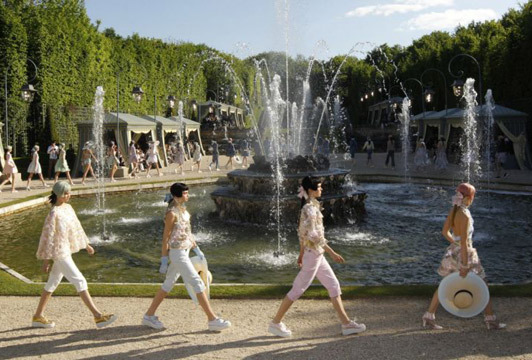 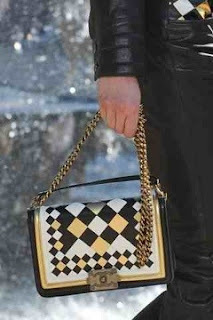 Karl Lagerfeld choose a private garden to showcase his 67-piece Chanel pre spring/summer 2013 collection, the perfect elegant courtyard backdrop for a collection largely inspired by young French aristocrats in the 18th century. 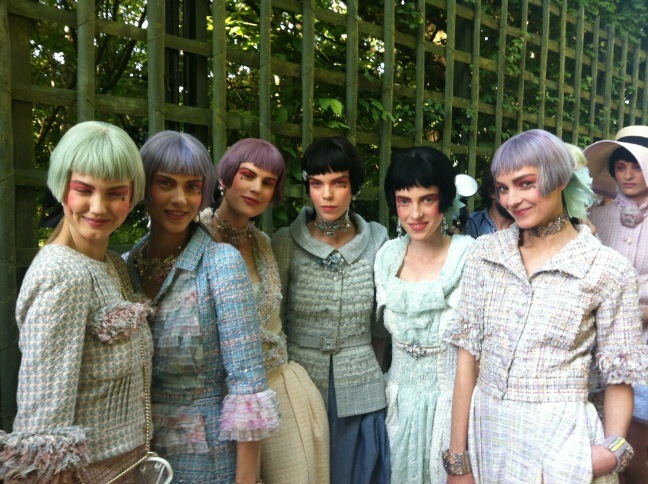 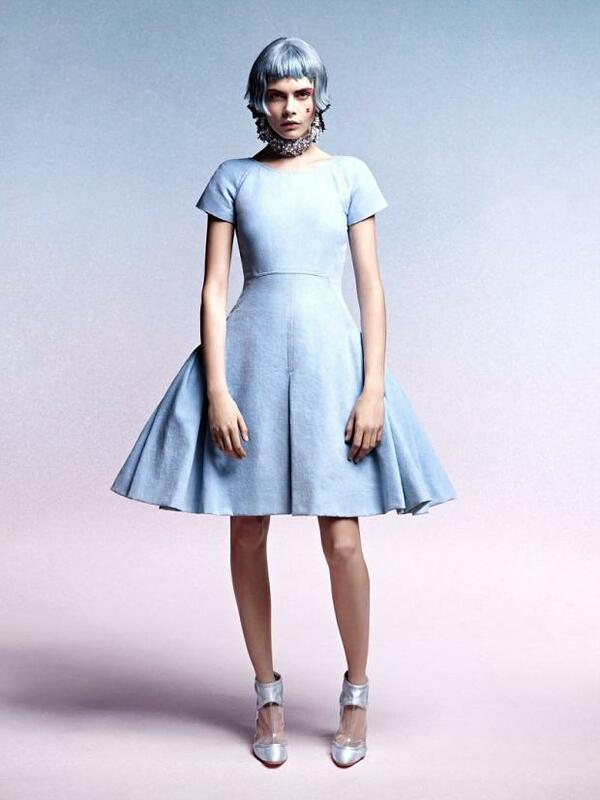 The collection featured pastels in sorbet hues, with each model donning a short fringe wig. 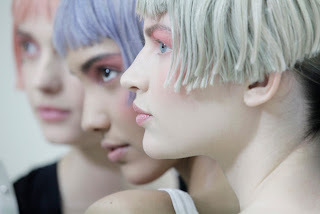 Sam McKnight the genius behind the hair spoke to British Vouge about the look "The wigs were all cut and coloured by hand in my studio, with each one being a slightly different shade. 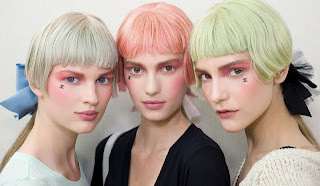 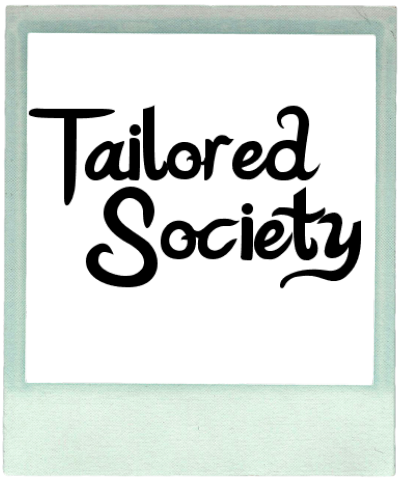 I was calling them "bob-tops" as they were chopped off at the back and popped on top of a lush ponytail, which was then accented with a large bow. 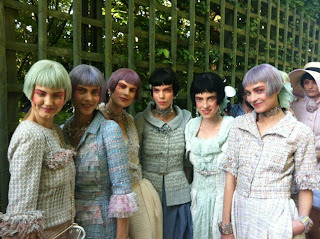 I like to think of this as a nod to techno with a wink to the spirit of Marie Antoinette." 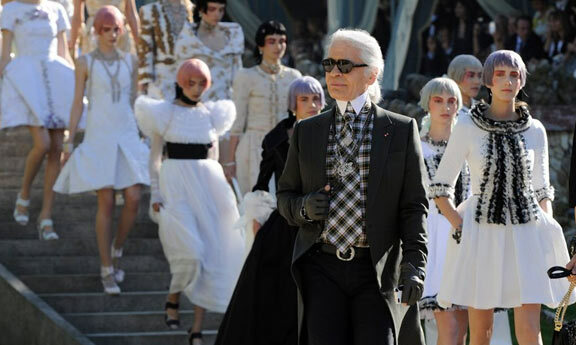 Lagerfeld claims that his inspiration was "coco rock, not rococo" who knows what is meant by that but he also described the collection as "very rock ... not at all 18th century". 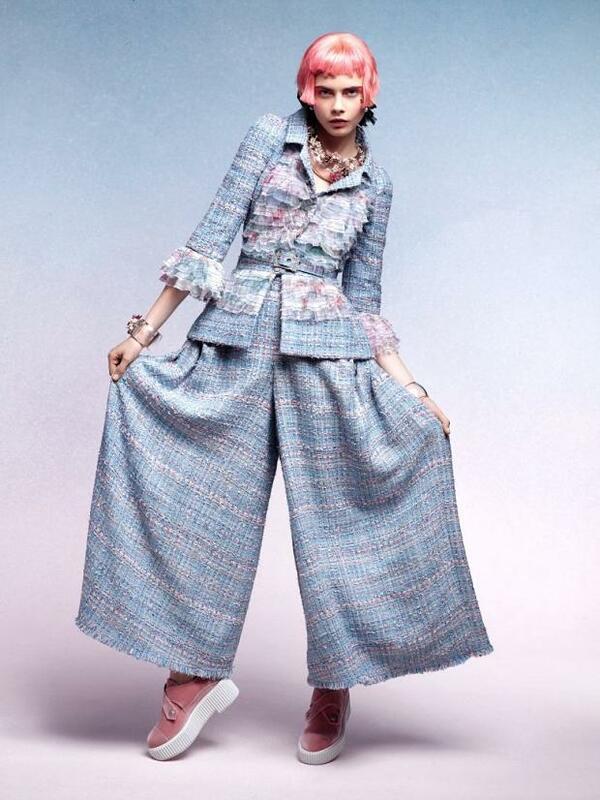 Sadly I will have to disagree with the designer by claiming it was all very Mary Antoinette, not sure what sort of "rock" chics Karl’s been hanging out with!.